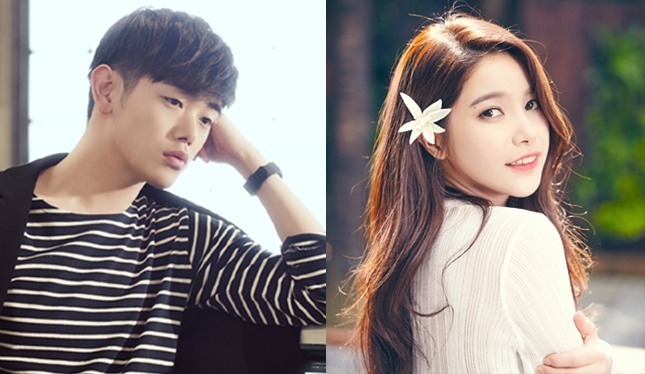 Singer Eric Nam and girl group Mamamoo vocalist Solar will appear as a newlywed couple in MBC’s mock-marriage program “We Got Married,” according to reports Saturday. “The episode of Eric Nam and Solar will be aired soon,” MBC told local media Saturday. This came after MBC denied speculation that a new couple would be premiered in place of one of the existing couples, saying Nam was “positive” about appearing on the show. The couple kicked off filming on streets of Hongdae in Seoul on Saturday, the source added. The two were spotted in pictures from social networks while dressed up in a black tuxedo and white wedding dress on the street. The newlywed couple will take the place of actor Kwak Si-yang and actress Kim So-yeon, MBC added. Eric Nam released his new five-track EP “Interview” on March 24, while tracks from Mamamoo’s new album “Melting” swept local charts upon its release in February.